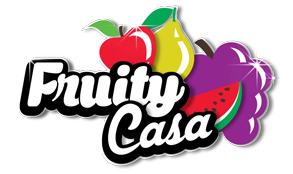 Fruity Affiliates manages and operates the Fruity Casa online casino. The program, and its online casino, is one of the highest-rated within the online gaming space. The gaming platform has all the major games players have come to enjoy from slots and poker, to blackjack, roulette, and more. New players are welcomed with a 150% bonus – games are available online and through mobile. The Fruity Affiliates affiliate program pays an average 30-50% commission on net gaming revenue (NGR) of those referred to the platform(s). The program has no negative balance carry over. Affiliates to the program will receive a full-fledged reporting service, helpful 24/7 support, and a set of advanced marketing tools from creative assets to hot, promotional offers. The program is free to join and takes mere moments to set up and begin a campaign. Fruity Affiliates relies on three, core principles: transparency, tiered commission percentages, and communication. This brand loves its affiliates and players – constantly rotating new games and bonuses to keep the thrill alive and commissions rolling in. Fruity Affiliates keeps up with the cutting-edge of online gambling. Their passion for the industry extends to its customers and partners. The offers and promotions, found through their casino sites, create a thrilling offer for new signups and regular gameplay – big prize pools! Overall, we think the Fruity Affiliates program has good potential for those in the online gaming niche with its 40% commission structure. Though, it’s ultimately lower payouts since the 40% threshold is higher than most competitors. Despite that, the Fruity Affiliates brands of casinos are attractive, fun, and engaging – you’ll want to explore the program and see how it goes with your community.